East Thirty-Six, the resto-bar that brought social dining refinement to the St. Lawrence Market/Financial District areas, is once again infusing sublimity into the storied downtown Toronto neighbourhoods with its brand new Lunch Menu. Replete with haute derivations of classic cuisine and nouveau technical acuity, Executive Chef Brent Maxwell is raising the stakes on the power lunch offerings for Toronto’s Financial District brood. Though just about six months-old, East Thirty-Six has already garnered critical acclaim for its inventive cocktails and convivial cuisine. And now, with the launch of East Thirty-Six’s Lunch Menu, the sister establishment to Church Street’s Boutique Bar is ready to raise eyebrows yet again. The new Lunch Menu is a tour de force of foodie favourites – with signature Brent Maxwell twists, of course. 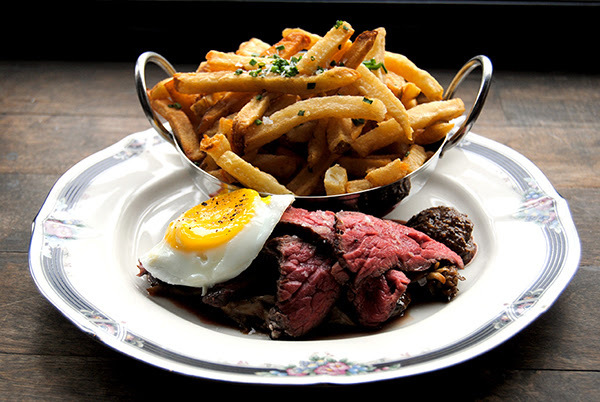 The Bavette Steak ($25) is a modern take on Steak Frites/Steak and Eggs, served with celeriac puree, house mustard, and a fried egg, and finished with a red wine jus and served with East Thirty-Six’s fries – which, cleverly, are dusted with dried salted chicken skin, maldon salt, and accompanied by a house-made lemon aioli. 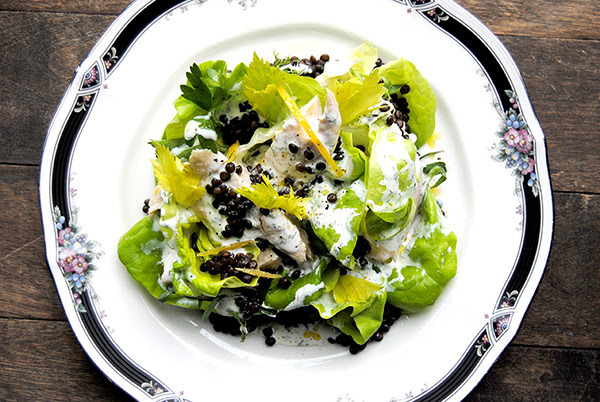 Fish fans will be overjoyed with the Chilled Poached Arctic Char ($23) from Lac Saint-Pierre, served salad-style with marinated beluga lentils and crisp Boston Bibb lettuce. 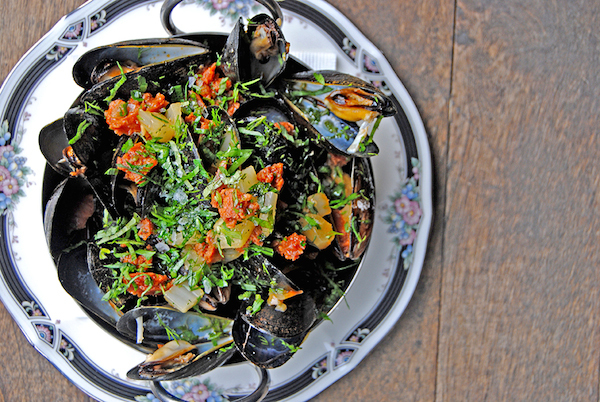 Similarly, the Quebec Mussels ($18), sourced from Cap-aux-Meules, are an appetite pleaser, steamed with chorizo, garlic, fennel, white wine, lemon juice and mixed herbs, and served alongside East Thirty-Six’s fries. Vegetarians are well-served with East Thirty-Six’s new Lunch Menu as well. 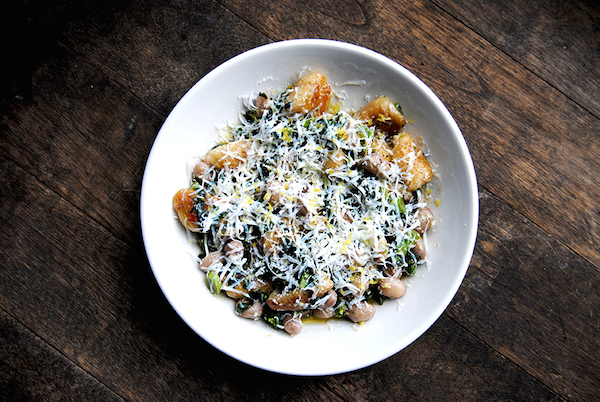 Gnocchi ($16), potato-based with pecorino, is a bowl of excellence with rapini, garlic, olive oil, lemon juice, and ricotta salata. East Thirty-Six’s Beets ($12) are also noteworthy. 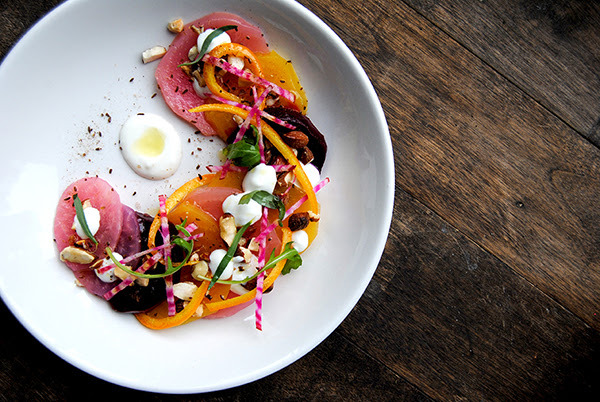 The dish comprises a colourful mix of local beets, roasted to perfection, served alongside smoked goat’s milk yogurt, fresh horseradish, tarragon leaves, toasted almonds, caraway seeds, preserved orange zest, and arugula. All of the dishes on Executive Chef Brent Maxwell’s new Lunch Menu can be expertly paired with the sophisticated sippers on Co-Owner/Mixologist Julien Salomone’s Cocktail Menu. East Thirty-Six’s dedicated staff is well-equipped to pair cocktails to dishes, ensuring total olfactory satisfaction for patrons.